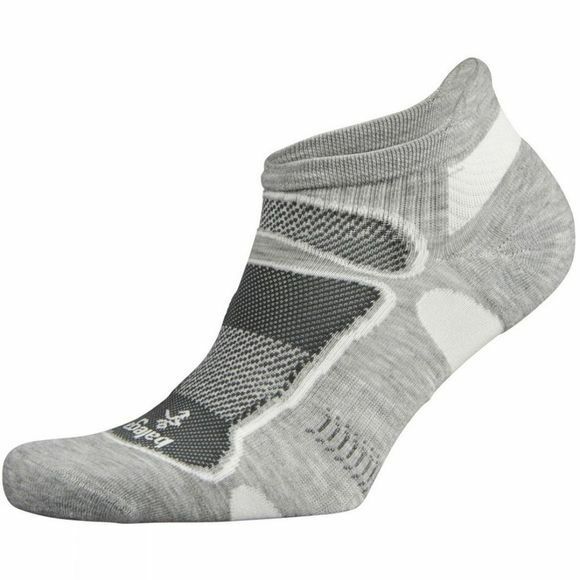 Being the lightest sock on the planet while still providing all the necessary protection, Balega Ultralight No Show sock is incredibly comfortable and durable. Its unique Y heel shape creates a more formed and deeper heel pocket, for the ultimate fit and comfort. Its heel tab reduces the chance of socks slipping into your shoe, whilst the sculptured mesh panels help with ventilation. The broad elastic arch support helps to keep the sock in place, no matter how hard you're working.